Have you had your air conditioner in Troy serviced recently? Air conditioning units for homes and businesses need periodic maintenance in order to run efficiently and reliably. Air conditioners that are not properly maintained may start forcing warmer than normal air through your vents or making odd noises. To prevent sudden repairs, we recommend that all homeowners and business owners schedule regular fall and spring maintenance. This helps ensure that your unit is running correctly and catches small problems before they become expensive problems or shorten the useful life of your air conditioning unit. If you are looking to replace your old, energy inefficient unit with a newer model that has a better SEER rating, our HVAC technicians can help you find a new air conditioner, and we can install it. Many Troy homeowners and business owners take their air conditioning units for granted. They turn them on in the late spring and off in the fall, periodically change the filters and hope the unit remains running. This is not the best plan for keeping your air conditioner operating because it can lead to seemingly sudden breakdowns and the need for overly expensive repairs. Instead of waiting until your A/C unit breaks, prevent costly breakdowns and uncomfortable indoor air with our complete HVAC services. 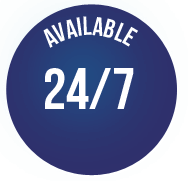 Our technicians repair, replace, install and maintain all types of air conditioning systems, including ducted and ductless units, heat pumps, RTUs, air handlers, heat pumps and mini split systems. By having your unit maintained and repaired on a regular basis, you are helping your A/C unit provide you with trouble-free operation all summer long. 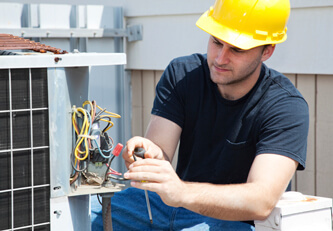 If an unexpected breakdown does occur, our HVAC technicians can quickly come out to your home or business, diagnose the problem and repair it. When you have your A/C, air handler unit, heat pump, mini split or RTU regularly maintained and repaired, you are helping to extend its useful life, increasing the energy efficiency of your HVAC unit, preventing major, expensive repairs and helping to maintain your indoor air quality. Performing regular HVAC system maintenance is essential for preventing system failures and ensuring your unit reaches the end of its maximum useful life. When our HVAC technicians arrive to service your commercial or residential air conditioner, they will make sure your thermostat is functioning correctly, check the power and electrical lines going to your unit and the coolants levels. They will also ensure your unit is clean and that the drain is free of any debris. Repairs by our trained, professional and experienced HVAC technicians in Troy start with a thorough diagnostic to determine which parts are broken or worn and checking your coolant levels. Once we identify the problems with your unit, we will explain the findings to you and make the necessary repairs in order to restore the proper function of your air conditioner. If you are ready for a new HVAC unit, our technicians can evaluate your home or business and determine the best unit for your needs. Once you agree on your new unit, our HVAC technicians will install it so that you can enjoy cool, comfortable air all summer long. 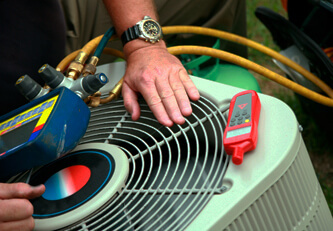 Why Do You Need Troy Air Conditioning Services? Excellent service and technicians were very aware of what could be a potential trouble spot. We are a contractor and are working to provide our customer with a quality product and Airduct Clean provided the service we were after.